Conveniently located in Champs de Mars, location plays a big role in the success of U.S. Affrico’s as one of the most important sports venues in Firenze. I had the honor of talking to Nicola Toppino, who I learned plays a big part in the sports industry, through U.S Affrico and through marketing sportswear. Nicola helps with the business and marketing side of U.S. Affrico and started by showing me the newest logo for Affrico, a fierce lion. Most importantly, as pointed out by Nicola was the year 1949, the year Affrico Basket was established. The year was put on the logo to remind people of the history of Affrico, and reaffirm that Affrico is not a new team which is something that they take pride in. In fact, sitting a few feet away from me were retired Affricons, who regularly come to Affrico to sit and talk about the latest game. However, every ten years when the contract expires, a bando is held and the new owner is free to change the name and logo, something that Nicola worries that threatens the heritage of Affrico but this has yet to happen in all its history. While tradition remains an important aspect of Affrico, so does the future. Florentines can look forward to the construction of a new Foot Locker, a huge step in commercializing sports equipment in Italy. Ten years ago most players found their shoes online on EBay, now thanks to Nike and other companies expanding to European markets, sports shoes are available and are just a quick walk down the street. In the near future, Nicola hopes to expand and have a closed area for multi-sports venue. Marketing and merchandising Affrico can be a challenge to Nicola. He states that the first way to organize marketing for sports is finding the physical motivation in a sponsor. While Affrico is important in Florence it is relatively small when compared to the rest of Italy. 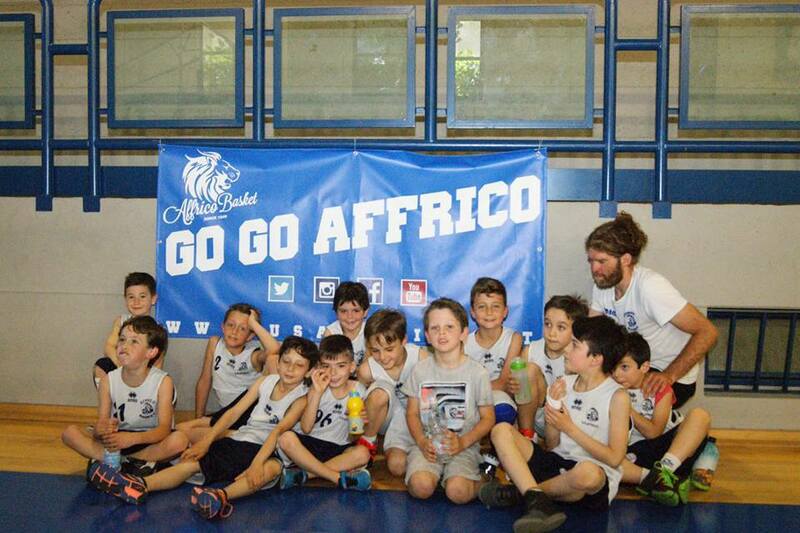 But thanks to Italian law and organizations like FIBA, companies can sponsor a community event such as a tournament, since sport is considered a social and cultural event. These sponsors can help pay for taxes, coaches, or events and take a huge burden off Nicola and Affrico. Behind every successful organization is the core values. These values define the organization and are its guidelines. Nicola made it clear that the most important thing behind Affrico is the social aspect. While teams are still competitive and are playing to win, it’s not the main priority. Their main focus is creating a welcoming environment where people are free to enjoy sports. With these core values there is no doubt that U.S. Affrico will continue to grow in the community.